BALLAST BYPASS MUST REMOVE/BYPASS BALLAST AND RUN DIRECTLY OFF LINE VOLTAGE 120-277V. 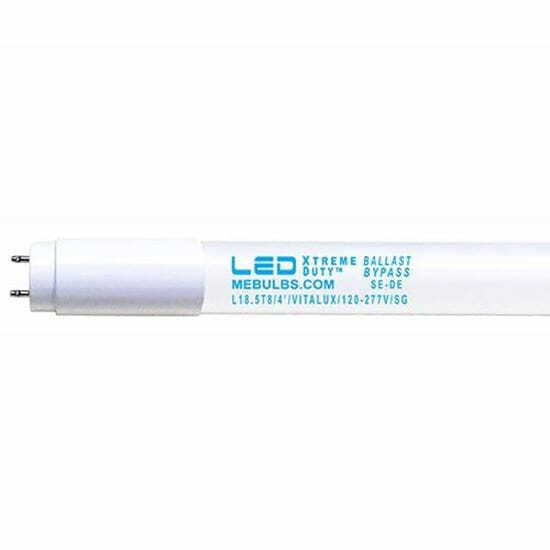 Retrofit your fluorescent fixtures using Xtreme Duty™ L18.5T8 Vitalux™ Ballast Bypass LED tubes from MEBULBS and eliminate ballasts. The fluorescent replacement tubes are designed to save money and energy while delivering brighter, whiter light where you need it the most. LED tube lights last for an exceptionally long time, reducing maintenance needs and saving money. 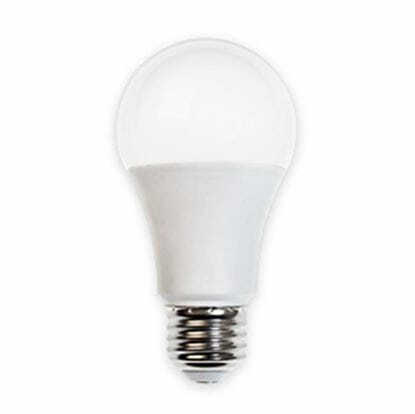 Great lumen maintenance mean these bulbs do a fantastic job of maintaining their color and brightness. Best of all, they're simple to use and include a medium bipin base for fast and easy installation in your existing fixtures. 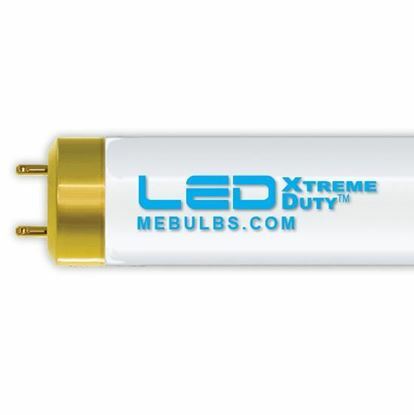 Save time and money by switching to Xtreme Duty™ L18.5T8 Vitalux™ Ballast Bypass LED tubes from MEBULBS. The high-quality bulbs are equivalent to F32 fluorescent tubes and contain no mercury for an eco-friendly alternative to traditional lighting. Upgrade today and save on your energy costs all year long. NOT FOR USE WITH BALLASTS. USING ON BALLAST WILL VOID WARRANTY AND BURN OUT LAMP QUICKLY. BALLAST BYPASS. MUST HAVE LINE VOLTAGE (120-277V) WIRED DIRECTLY TO LAMP SOCKETS. FOLLOW INSTALLATION INSTRUCTIONS. 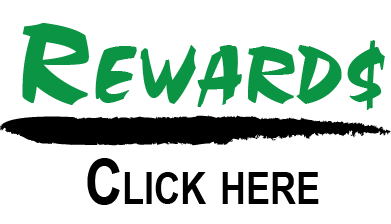 AT MEBULBS.COM'S DISCRETION, WE CAN REQUIRE LAMPS BE RETURNED FOR INSPECTION BEFORE WARRANTY LAMPS ARE ISSUED. NOT FOR USE WITH TIMERS, OR WHERE EXPOSED TO THE WEATHER. THESE LAMPS CANNOT BE INSTALLED IN FIXTURES THAT HAVE BEEN RE-WIRED FOR 120V OR 277V L.E.D. TUBES. ANNUAL ENERGY SAVINGS BASED ON CURRENT NATIONAL ENERGY COST AVERAGE OF $0.12/KWH, 24HR/DAY. SEEABLE LUMENS BASED ON RESEARCH BY LAWRENCE BERKELY LABS, CALIFORNIA. Misapplication that causes failure will not be warrantied. Not for use with timers, dimmers, or where exposed to the weather. Designed to replace F32T8 fluorescents and use the same ballast.